The Island Sailing Club's main bar and dining room overlooks the Cowes Fairway with views from the New Forest eastwards to Portsmouth. The dining room is open daily and serves everything from a bite-on-the-go, through to a formal celebratory meal. The clubhouse bar serves a range of beers, cocktails, wines, spirits including our gin of the month and the club's favourite, Mermaid Isle of Wight Gin. There is also a wide range of soft drinks, teas and coffees. Throughout the year we run a series of lunches, evening talks, events and social gatherings. 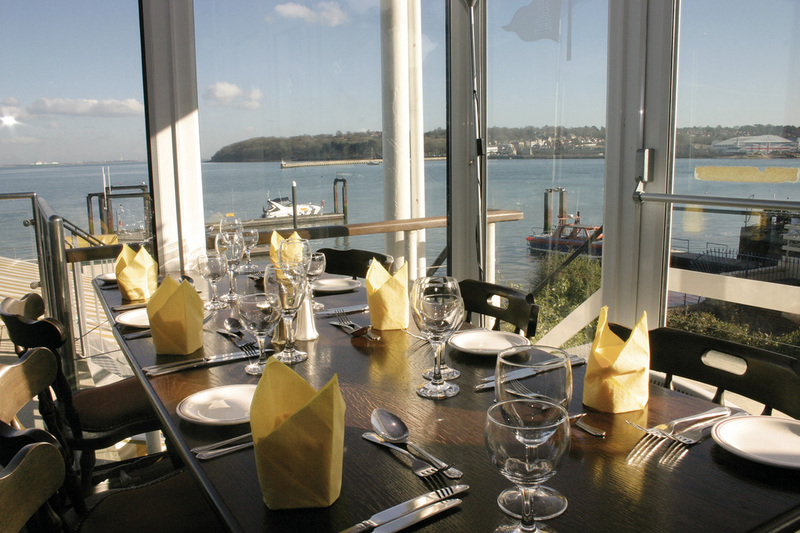 The clubs rooms on the top floor or in the waterside marquee, are also available for hire for functions.